In time, ERG may directly refute the carbon emissions assertions made by a research fellow and assistant professor at UCSB. Not surprisingly the authors focus entirely on the dogma of environmental catechism. While I, too, am interested in matters of facts and data and have spent years debating dollars and cents on behalf of taxpayers throughout the county, I believe that common sense always prevails: In this case, shipping oil via tanker from across the globe is inherently more impactful to our environment than locally extracted sources. Moreover, I submit more urgency should be focused instead on more pressing matters. For example, is it not long past time we have a serious conversation about the fact that in Santa Barbara County, a place where most people think we enjoy unparalleled prosperity, we actually hold the dubious distinction of having the third highest rate of poverty in California? Don’t misunderstand. It is not my intent to suggest that in the process of reviewing energy projects in Santa Barbara County, environmental considerations are irrelevant. Still, in their anti-oil commentary, the authors admit there are alternative jurisdictions to Santa Barbara County for oil and gas production, and whether those jurisdictions are in the Middle East, or in Latin America, the carbon intensity is a problem. We agree. Indeed, point granted. What the authors failed to acknowledge are the other negative impacts associated with those alternative (foreign) jurisdictions. Let’s start with the abominable human rights records in many of these countries — as well as the fact that they use the oil revenues to foment global instability, and to oppress and impoverish their people. Aren’t these measurements also relevant and worthy of serious consideration? And speaking of the environment, nowhere in their opinion piece was the risk to the world’s sensitive marine environment mentioned. How many environmentally woke readers of the Santa Barbara Independent know that oil and gas supplies extracted from the Persian Gulf, and subsequently delivered to California via tankers, spend roughly 49 days at sea? That is 1,176 hours that our precious, and threatened, ocean environment is at risk from a spill. Multiply that number by the number of oil tankers used to transport foreign oil here in any given month. Hint: it is a heck of a lot. I know some opponents of oil and gas say we need to switch to renewables and end our addiction to oil. However, with California motorists consuming 40 million gallons of gas a day and Santa Barbara County motorists consuming 400,000 gallons per day, going cold turkey is an exercise in futility. The bottom line is we are going to be relying on fossil fuels, especially for transportation uses, for the next several decades, according to the Obama administration’s U.S. Energy Information Agency. So the question isn’t, “Will we need to produce oil and gas for the foreseeable future?” It is, “Where should we produce oil and gas?” The answer is obvious. Based on a variety of environmental, economic, social, and global metrics, we should produce it right here in California where we do it cleaner, safer, and smarter. In other words, here is where we do it ethically. 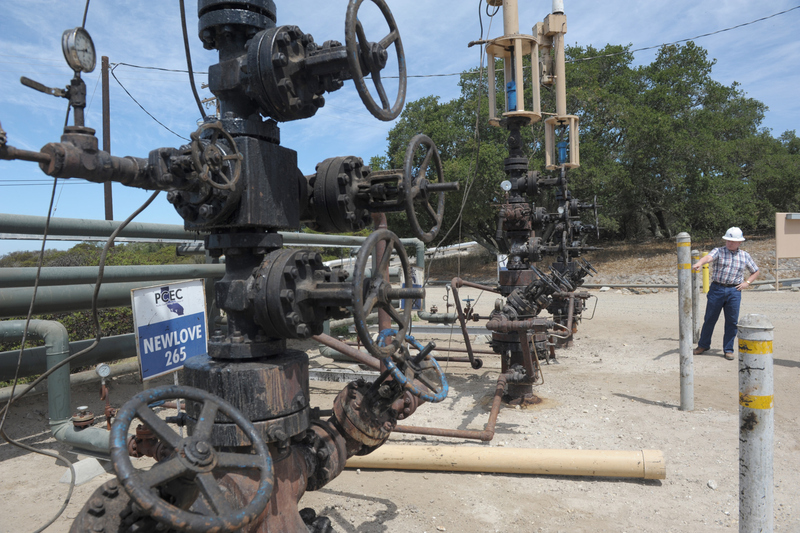 Plus, our local oil and gas industry boasts the highest paying jobs in Santa Barbara County’s ecosystem and provides local governments with millions in discretionary tax dollars. And not only does Santa Barbara County’s oil and gas industry generate millions of dollars in revenues and royalties for our federal, state, and local governments in general; it provides critical financial resources for our public schools in particular, as well as for law enforcement and public safety. In Santa Barbara County, for example, local property taxes are what are used to fund our countywide fire protection and prevention services. Without a strong, secure, and sustainable property tax base, families would lack the level of fire protection and prevention they need and expect. And it is not only fire protection and fire prevention services that our fire agencies provide; they also function as first responders in emergencies involving life-and-death situations. You cannot overstate the importance and positive economic and social benefits we derive from Santa Barbara’s oil and gas sector. So, with all due respect to the authors who seem to prefer debating endlessly the molecular intensity of Cat Canyon’s minerals relative to those extracted in Ecuador, Saudi Arabia, or Colombia, and even as our own domestic Rome continues to burn, we prefer talking about the need for establishing the type of local economic policies that can usher in a new age of economic justice for residents of the county. We need an opportunity society, if you will, where those who currently live in poverty and struggle with systemic poverty can finally be lifted out of their straitened circumstances and strive toward achieving upward mobility in order to enjoy the morality of prosperity. Joe Armendariz is the executive director of the Santa Barbara County Taxpayers Association and the Santa Barbara County Technology and Industry Association.